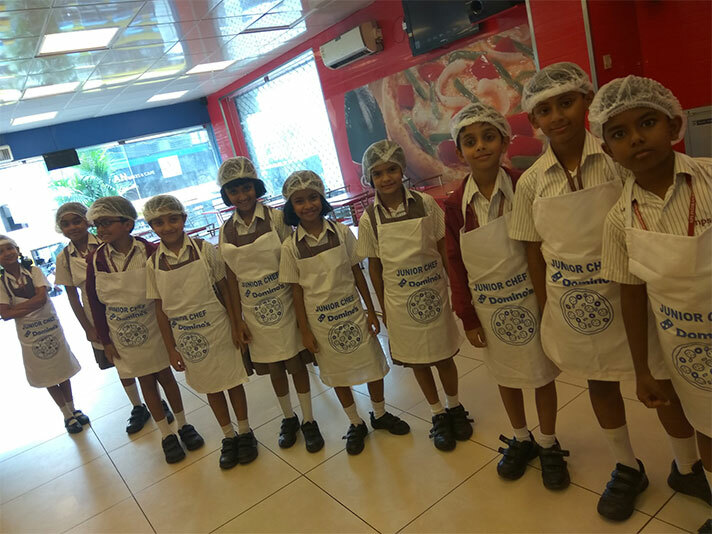 The students of Class 3 were greeted by the staff members of Domino’s pizza at Kasturi Nagar branch and were taken into the kitchen in batches. 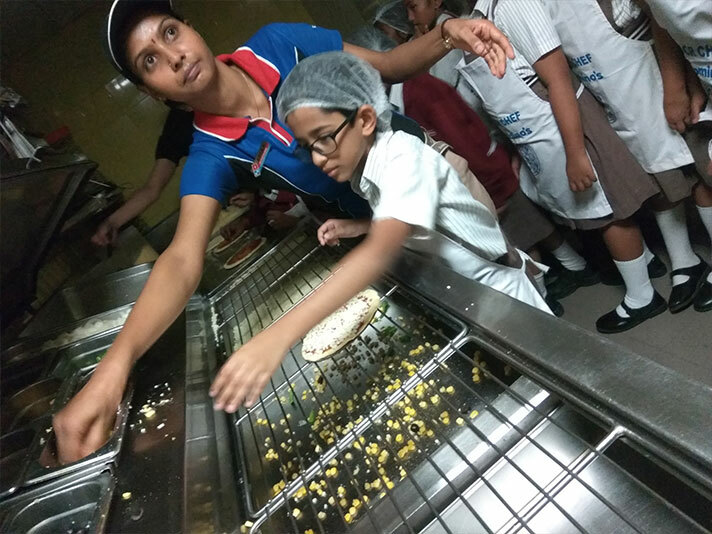 Before entering the kitchen, they were asked to wash their hands and were provided caps and aprons to wear, emphasizing on hygiene. 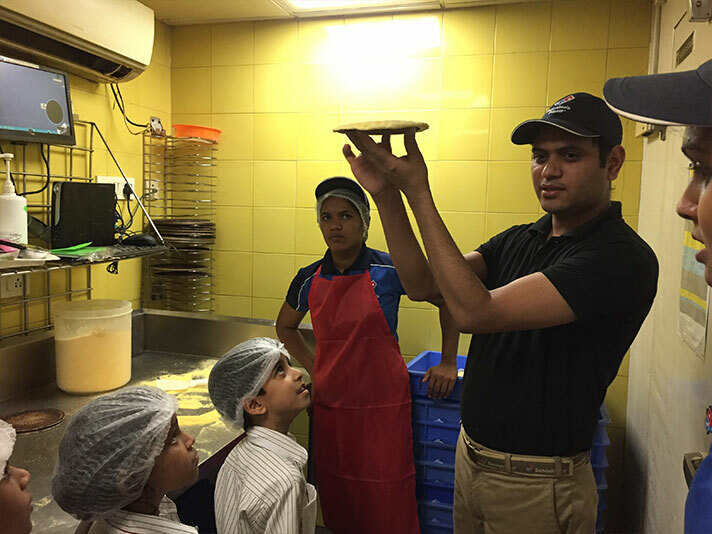 Then a staff member explained to each batch, the entire process of making a pizza, after which the students made own pizzas along with a staff member to guide them. 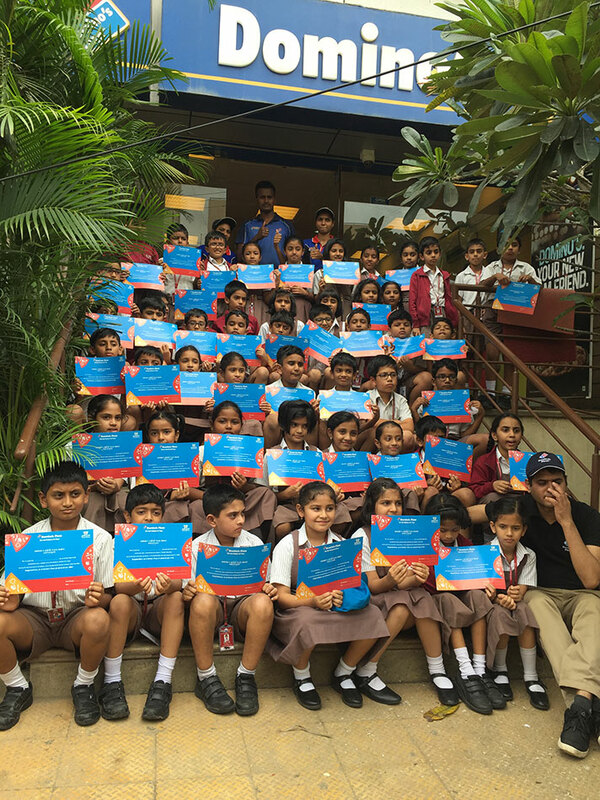 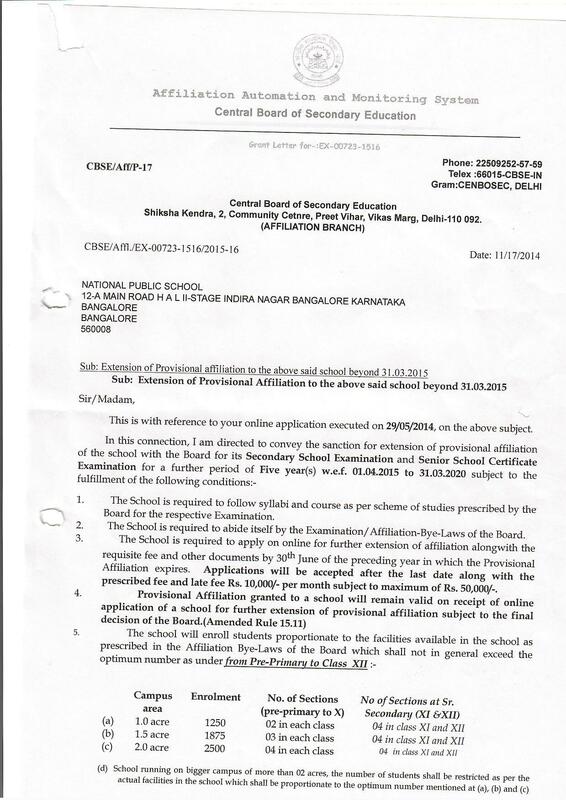 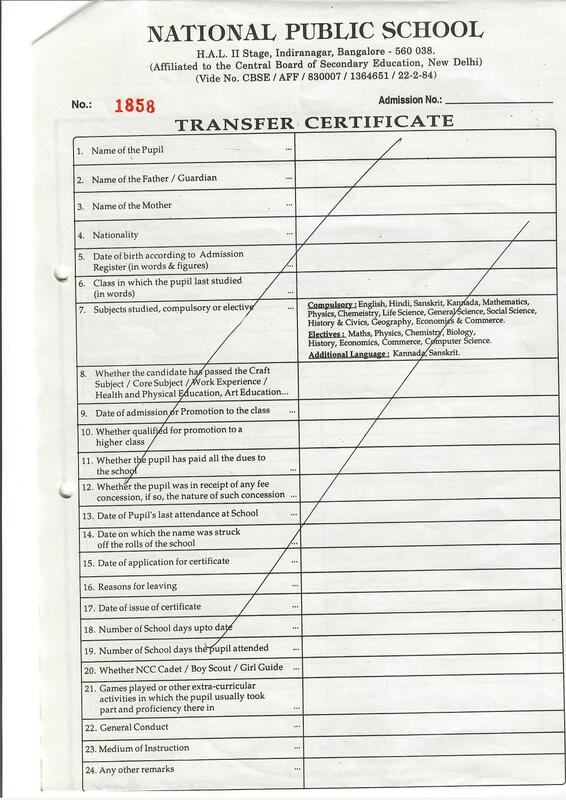 Certificates were distributed to all the students. 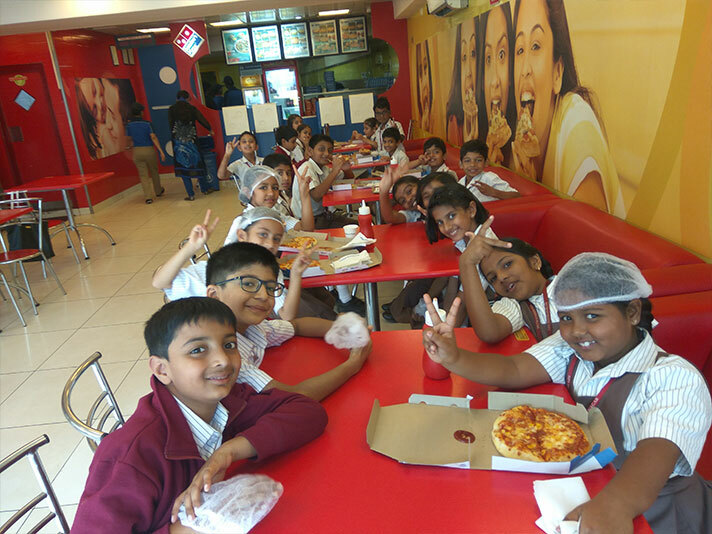 Students thanked the staff of the Domino’s Pizza Branch for patiently teaching all the 120 students, the art of making scrumptious pizzas.